Photos, late 80's? My favorite Museum I ever built. No, not the big 5,000 sq ft True Wonders but this little 6x4' trailer show for the Roseville Flea Market. It held 18 exhibits for those who paid the .50 cents. I painted it on a Friday, made exhibits on Saturday showed up at the Flea market on a Sunday. The idea was for it to look 'home made' and as un-pro as possible. This was made easy because I...'m not a sign painter. 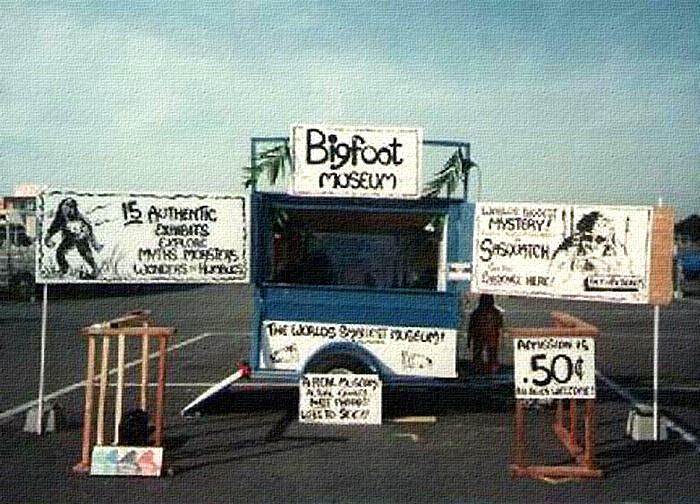 Prof Ouch bought some of the Dr. Grover Krantz Big Foot prints and authentic Grover Krantz Washington State University documents and Taylor also wound up with a weird little pygmy gaff (by Pond Lily Bill aka Jim Stienmetz) I called for this show: Big Foot Boy. 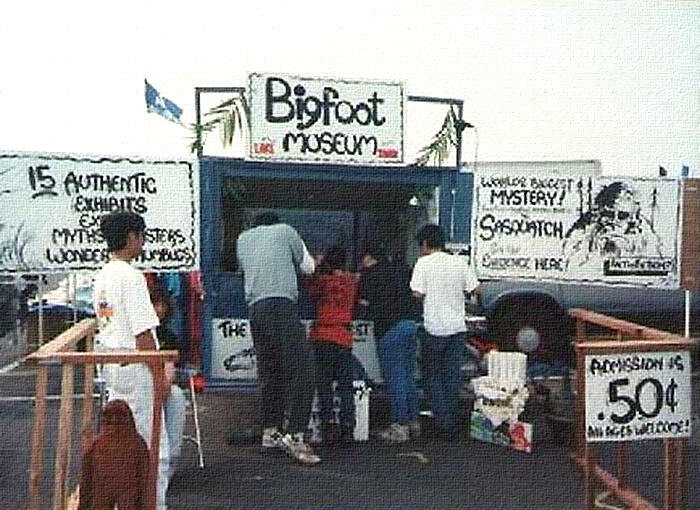 Of the 18 exhibits in the trailer there were numerous 'authentic' artifacts as well related to Big Foot. I wonder where I got those?? heh heh. 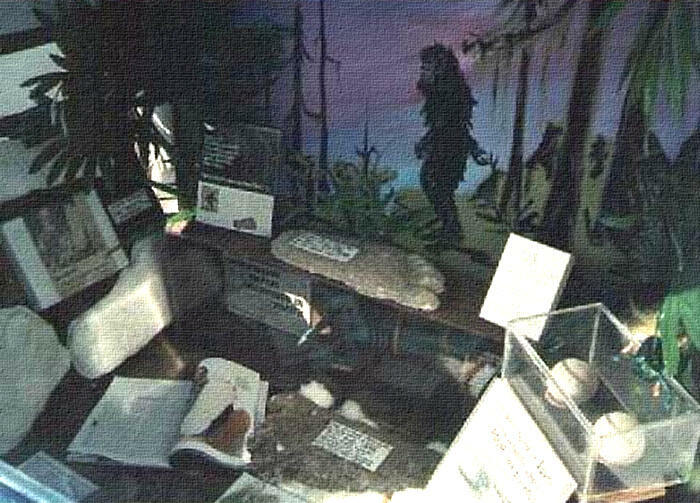 This little grindshow was so much fun to do...I was told so many big foot/sasquatch stories, I should have been recording them.